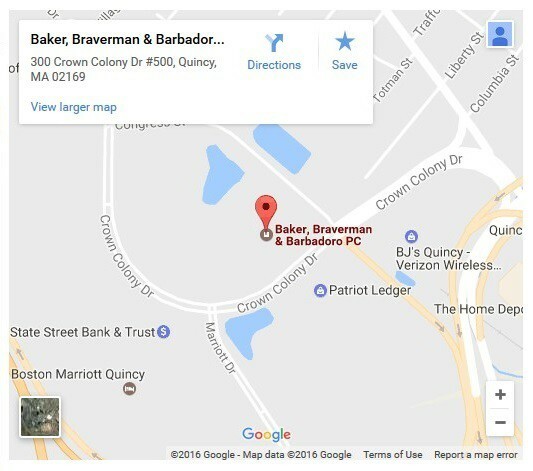 When a retired gentleman was struck by a truck, he turned to Baker, Braverman & Barbadoro, P.C. to protect his rights. Attorney Paul N. Barbadoro lead a litigation attorneys team of BBB lawyers who investigated the accident quickly and found that the truck struck the client as he walked across a busy street. The client’s injuries were catastrophic, he would lose a leg and suffered severe injuries to his remaining leg. Once the client’s injuries were stabilized and the medical costs ascertained, Attorney Barbadoro was able to convince the truck owners’ insurance company to participate in mediation rather than a long, drawn out court case. Mediation is a procedure in which the attorneys meet with a neutral professional (usually a lawyer or a retired judge) who tries to negotiate a compromise between the parties. After diligent preparation and consultation with the client, Attorney Barbadoro was able to achieve a settlement of over three million dollars for the client in a fraction of the time a court case would have taken resulting in less cost and achieving the security the client needed. At Baker, Braverman & Barbadoro our attorneys are dedicated to achieving the best possible results for clients who are injured through no fault of their own.